Are you thinking about becoming a Certified Eyelash Extension Professional and increasing your client base and your income? Have you been researching your options to find the best company out there to fulfill your career goals? Search no more. 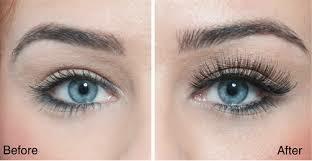 Nava Beauty & Wellness Institute is the premier lash company in the industry located in Miami, FL. When it comes to eyelash extensions, we absolutely guarantee that our unique application method, is the safest and most efficient method for perfect technique in eyelash extension applications. We are proud to offer you top of the line products and the highest caliber training by the most competent instructors in the industry. You will need two (2) models for day two and two (2) models for day three (so a total of 4 models).